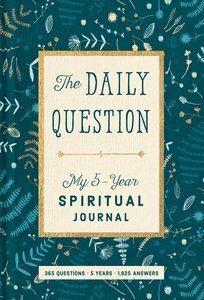 This keepsake daily journal prompts you to record what is happening in your heart and spirit. The short questions at the top of each page are quick to answer-but their impact could be life changing! You'll go back and answer the same question a year later for five years in a row, creating a time capsule of soul transformation. What New Year&rsquo;s resolutionsare you making this year?